This has been an epic project that Dragonfly Site Supervisor and Assets Manager, Josh Lane, has enjoyed managing. 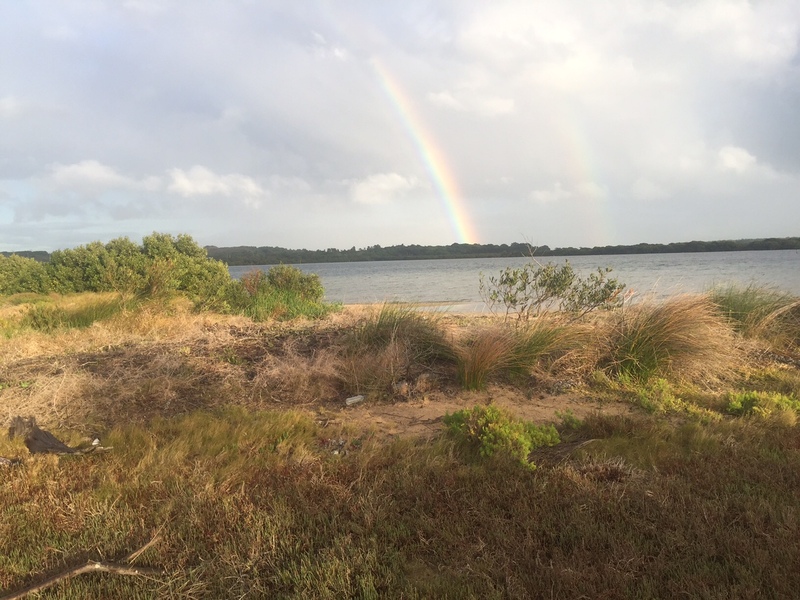 Quibray Bay sits in the Towra Point Nature Reserve in the South-East of Sydney. This beautiful section of mudflats, saltmarsh and mangroves are vital ecosystems for many migratory seabirds. 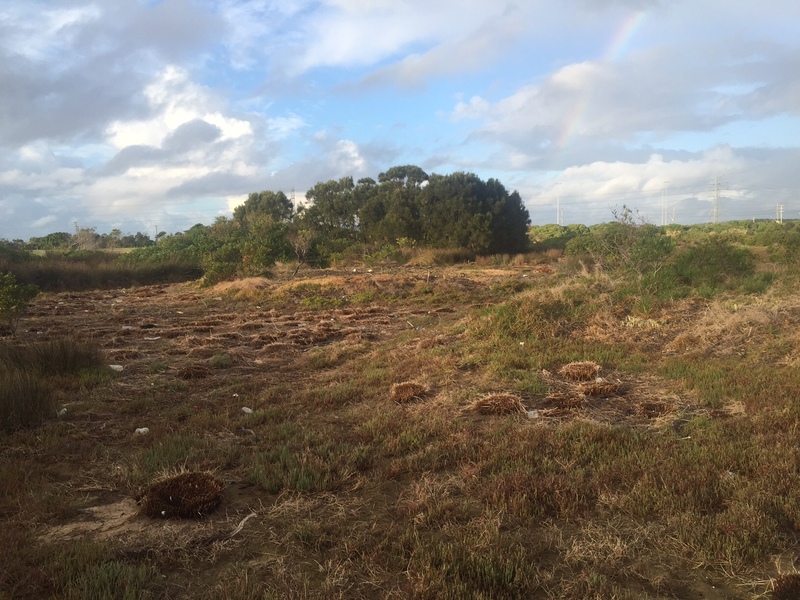 We were engaged by the National Parks and Wildlife Service to undertake targeted works to increase the quality of the saltmarsh habitat. 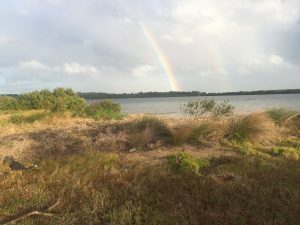 Works focused on creating opportunities for the Saltmarsh community to expand and removing exotic vegetation and opening up the sightlines for the migratory birds, so they will be more comfortable nesting in this area. 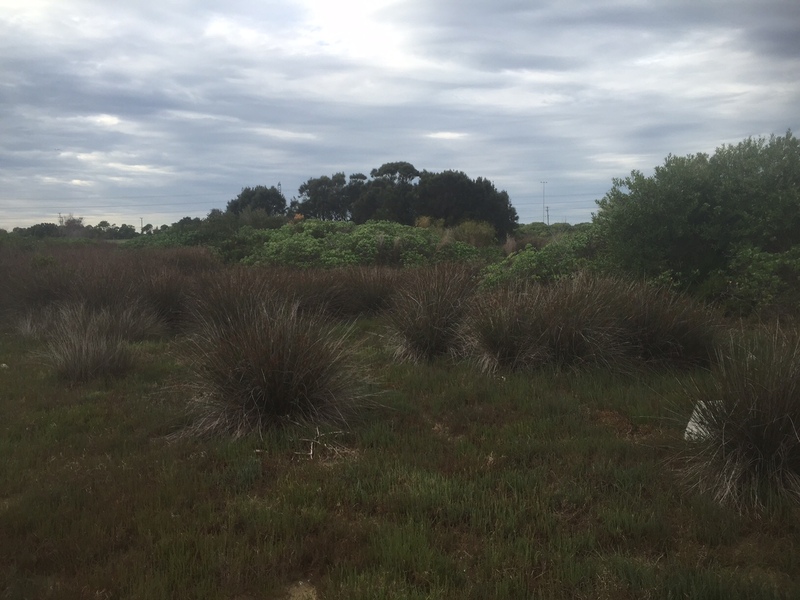 The removal of Spiny Rush (Juncus acutus) from the Saltmarsh area. 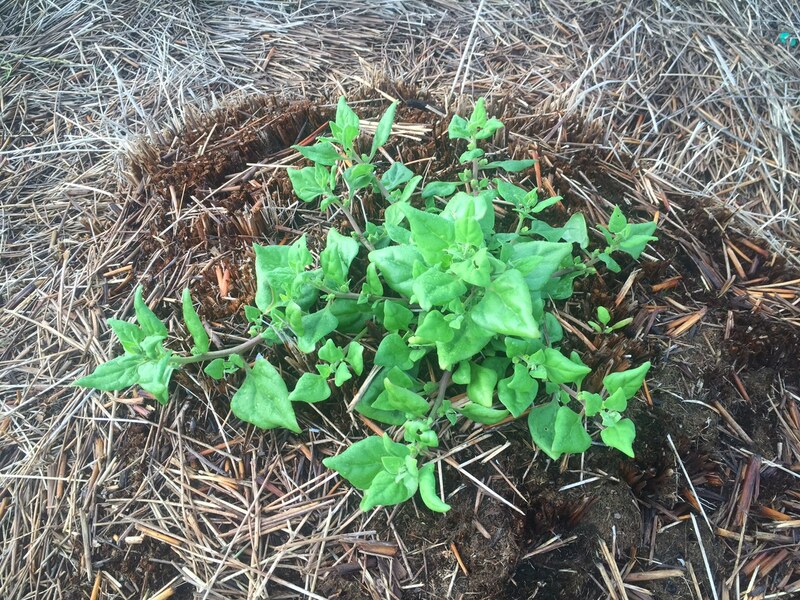 Removing large woody weeds such as Bitou Bush, Chrysanthemoides monilifera ssp. rotundata and Purple Broom, Polygala virgata. Follow-up and maintenance visits to prevent germinating exotics from establishing. 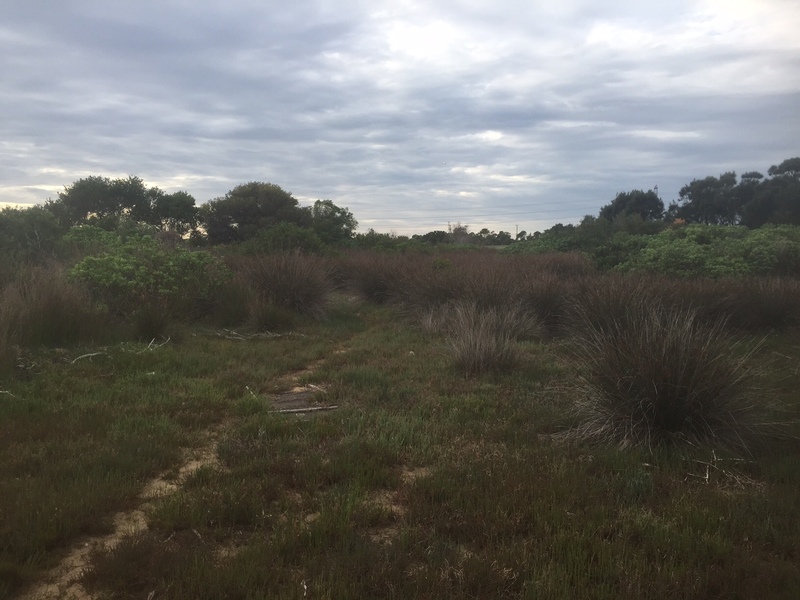 The excess leaves that did not have seed were brushcut and left as mulch which reduced weed species germination and also created a great microclimate for native flora saltmarsh species such as the Saltwater couch, Sporobolus virginicus, and Beaded Glasswort Sarcocornia quinqueflora to thrive in. Two hundred and ten Sarcocornia quinqueflora and ninety Sporobolus virginicus were planted in barren areas that had been cleared of Juncus acutus to speed up the regeneration process. These species were chosen as they are naturally found in the area and have a low growth habit to provide a suitable nesting ground for the migratory birds. The treatment and removal of the Juncus acutus and Chrysanthemoides monilifera was full on! However, the team took the challenge head-on and the results speak for themselves. 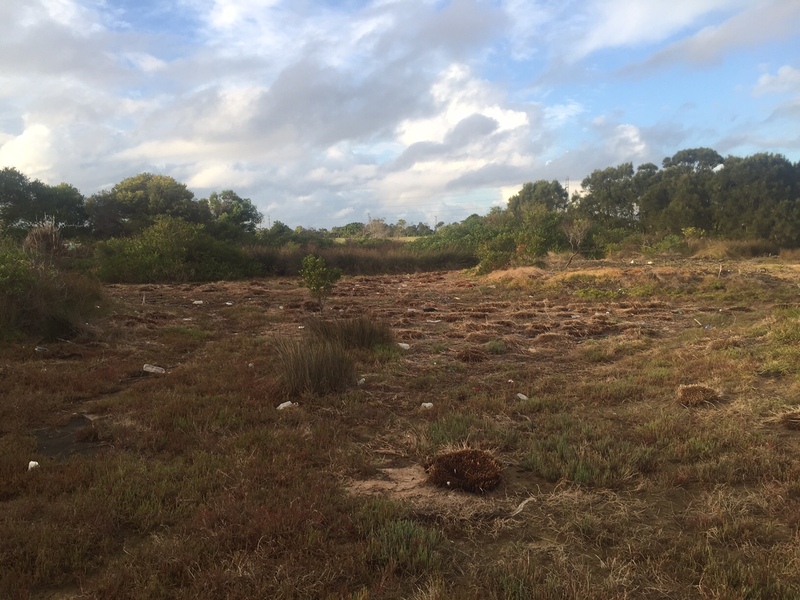 Images show before and after works, as well as a classic, successful example of bush regeneration – the native spinach, Tetragonia tetragonoides growing out of the dead stump of the exotic Spiny Rush.